I was happy to see that my partner in the Scrappy Swap also liked Heather Ross, Pearl Bracelet and put a picture of a Needle Case in her mosaic, so these are what I made for Angela D.
The Travel Sewing Kit is from a tutorial by Amy at Lots of Pink Here blog. It is a great tutorial and there is also a patchwork version. 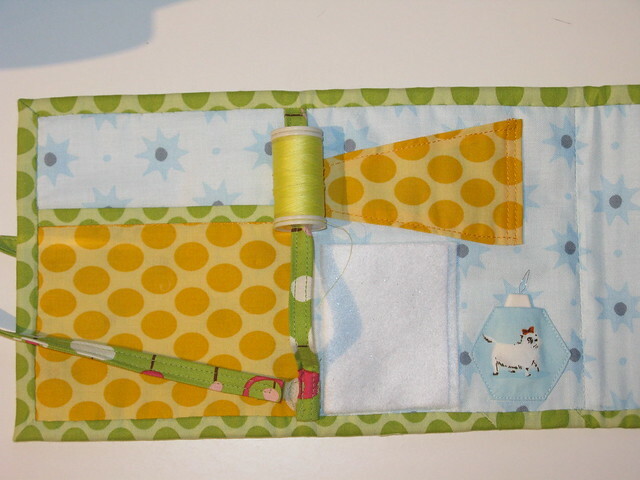 The things I changed was to do a single fold binding and I added a little pocket for a needle threader. I also made the quilted outer a little longer as the dense quilting made it shrink a bit, I trimmed it to size after quilting. I also couldn't bring myself to stitch through the dogs as they are so cute. There is also a large divided pocked on the right - not in the photo. I then made a matching thread catcher from this tutorial from Needling Things (Thanks Jan for the idea!). 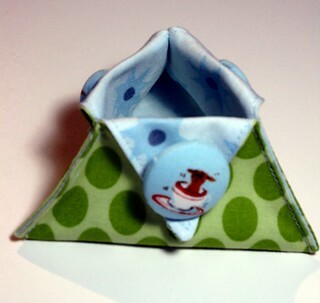 The covered buttons are great - one is just a normal button covered in a gathered circle of fabric. I'd had an idea for the Pearl Bracelet fabric, but I only had a couple of charm squares, just enough for a matching mug rug. 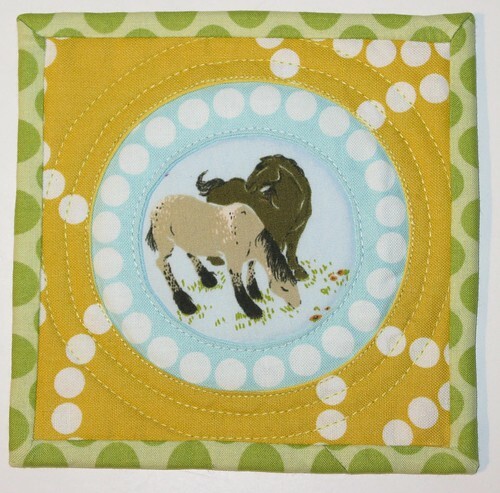 I think I made it similar to the "Porthole" technique - by putting an extra plain charm square on top and then sewing the circle, trim to 1/4 inch and turned it through, I repeated this to get the 2 circles. 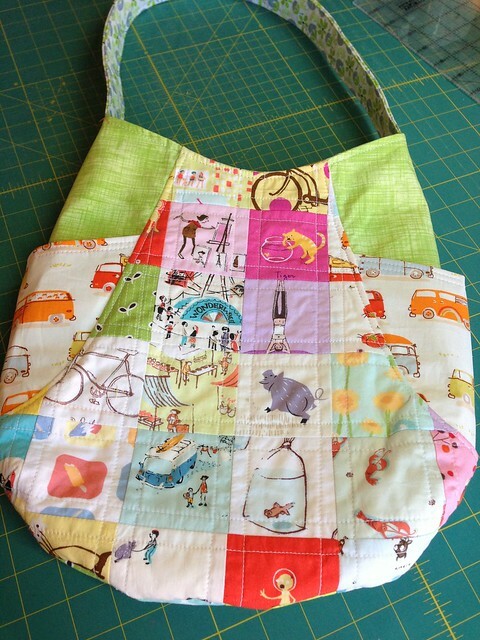 The picture above is from the Craft Passion Sewing Tutorial. 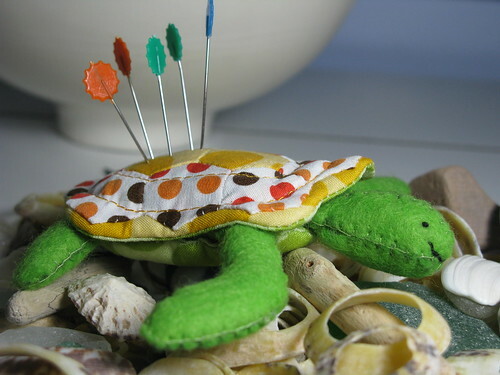 The bottom shell of the big turtle holds needles etc....brilliant! I want one! So what did my partner send to me...... I was the luckiest girl in the swap as Angela did turn out to be my partner...and had been stalking my Flickr photos. When I had to make the mosaic for the swap, my computer was broken and so I used the same one as my Modern She Made, with some added notes - never in this World did I think I would receive a 241 bag in the Scrappy Swap! Not only a 241 but so gorgeously made with loads of Heather Ross. I love the artist and also the cat looking at the Timothy Fish in a Bag! We also had to include scraps (Wow more HR) and a local item, and as we love the sea and surfing Angela sent some stickers from her local surf shop - we might go there one day! I bet the water is warmer than in Cornwall. 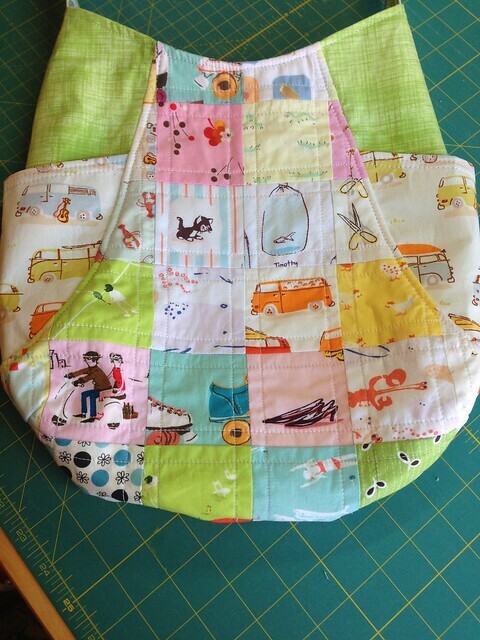 Double sided and big camper van pockets! So thanks again to Kat and Karen for organizing the swap and a massive thanks to Angela for being the perfect partner. I am still in awe of what you made and what you received! it definitely was the perfect swap. Thanks so much for everything. I'm so glad you like the bag. It is fun to use my HR stash for people I know will love it. Great swap! I love that turtle! The turtle is amazing!! Looks like it was a perfect swap in every way! 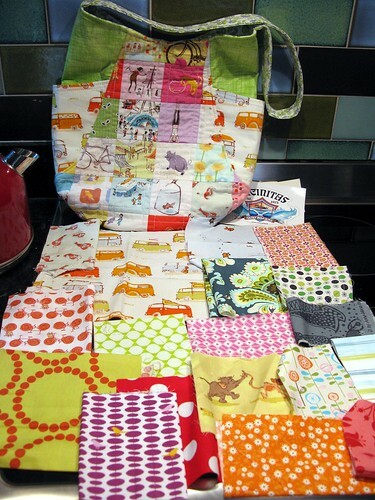 Love the sewing kit, and how cute is that turtle :) What a fantastic bag to receive, a fab swap all round! Well done for making the turtle- I tried to print off the pdf pattern for it, and only got part of it- I have done something silly, I suppose. But they are cute! 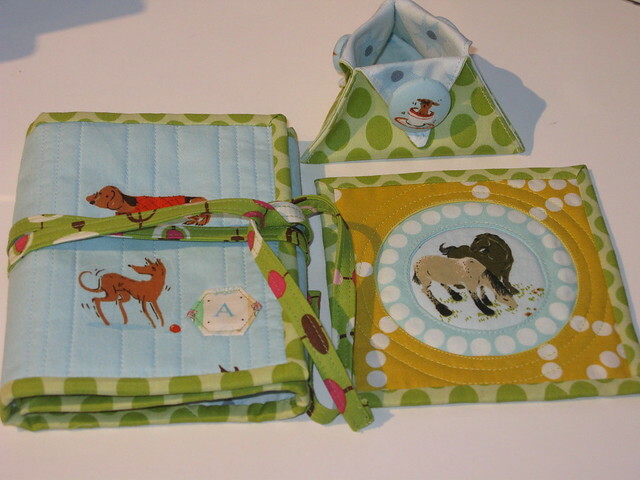 Lovely sewing accessories! 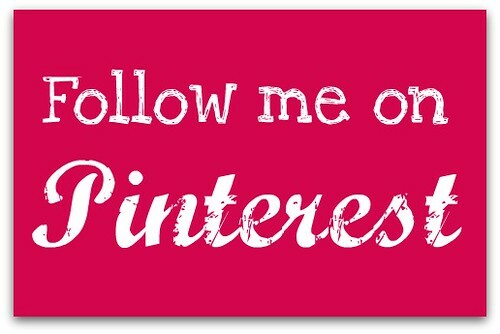 I have just begun following your blog and hope you will do the same on mine. 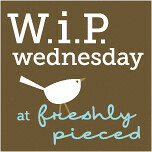 Will be back to browse through your other projects.